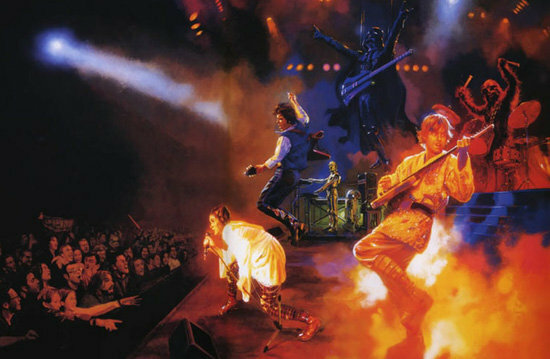 Good pictures but the star wars band edges it, possibly called Wookie Dreams. Great pictures. I like both, but agree with Lurker, I think the Star Wars Band edges out. Hmm, perhaps the Caped Crusader isn't actually fighting the shark after all. No, to me it looks like...he's riding it?! I suppose it only makes sense to ride a shark into battle with Sith Lords when you're the goddamn Batman. 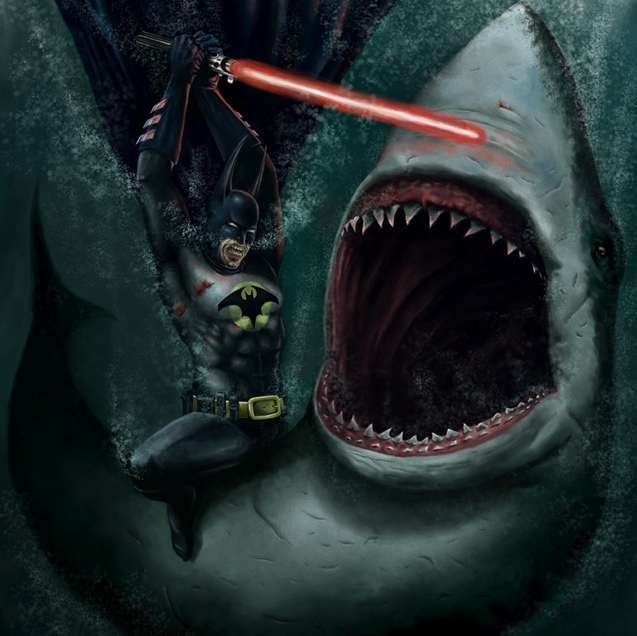 If he is riding the shark going into battle, well then that picture wins the battle of the pop culture mash ups.